Hair Genic is a modern hair care line, dedicated to men and women. Carefully prepared formulas combine most recent trends in hair care with unique properties of natural active ingredients. Advanced formulas of preparations from the Hair Genic line not only take care of hair condition, but also make styling simpler and more pleasant. 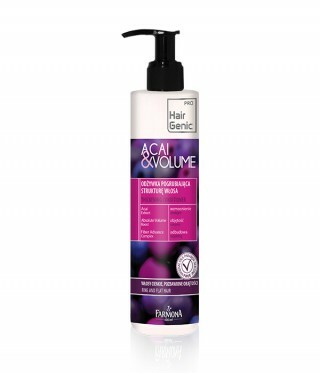 Acai & Volume is a product line for thin and flat hair with no volume. 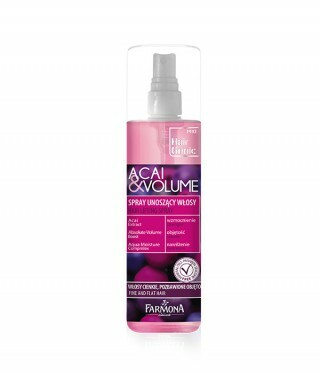 Its innovative formula combines the strengthening properties of an acai berry extract with the volumising Absolute Volume Boost complex. The products’ light formulations with no silicones, parabens or mineral oils visibly boost volume at the same time preventing a feeling of heaviness. 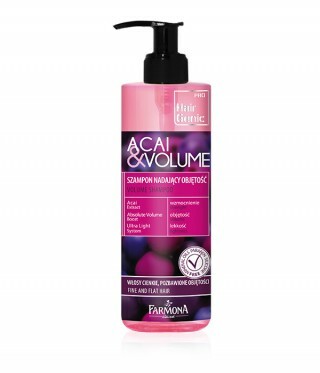 Acai & Volume products effectively restore volume, strengthen and regenerate hair structure, giving it a beautiful look, vitality and brilliance.